When it is summer, girls who have long hair may have troubles to deal with the hair. Your hair will become greasy because of the sweat. There is a great way to solve the problems. Collect or tie the hair and make stylish hairstyles to fight with the hot air. Since it is getting hotter and hotter, some useful hair tutorials will be introduced for you girls. Keep learning the new hairstyles with tutorials offered in the post. You can change your hair look every morning. What hair looks will give you a beautiful look and cool your nape? Buns, braids or ponytails? 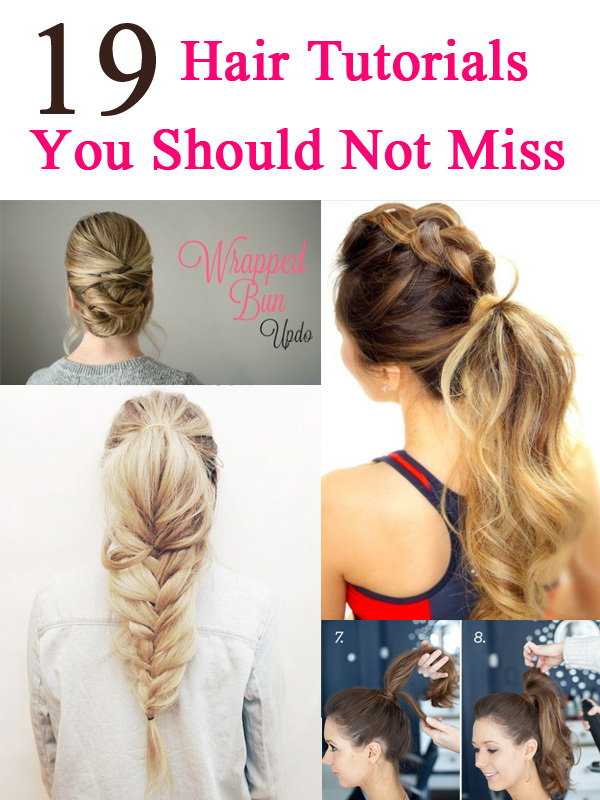 There are different ways to style those hairstyles. Tricks can be found in the tutorials below. How can you miss them? It is a little complicated hair look for your busy morning, but it is good to wear it for holidays. Prepare some hair pins first. Then begin to twist your hair and tuck it back. Use the locks and wrap orderly. Finally, make a twist and tuck a low bun. You don’t know how to style your mid-length hair, but you really want to put it up? Don’t worry. The tutorial will help you out. Do you know how easy the bun is? Check the tutorial below. 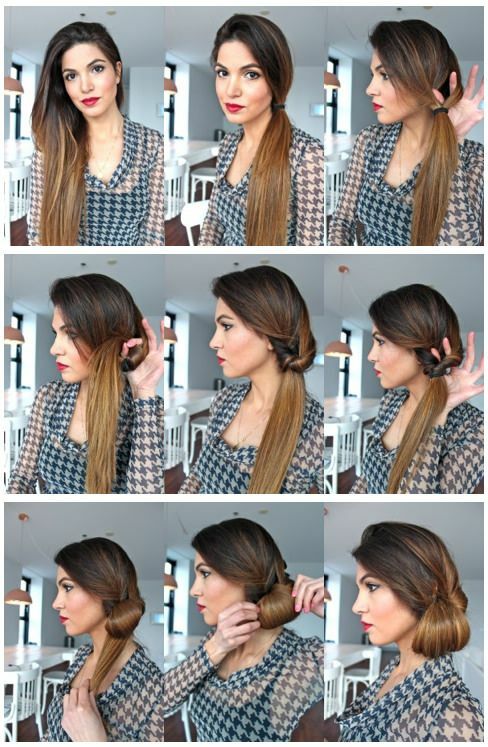 Tie a ponytail and make a great twist. Then use bobby pins to design a top bun. It is an easy bun again, but it looks elegant. It is a pretty hair look for women. The side twists can reveal the whole face and bring a fresh look. The back bun is also made of a twist. Tuck all the twists with the bobby pins at last. It is good for both teenage girls and grown-ups. Have you ever styled the twisted braid? It is good to combine a fishtail braid with the side twists. Follow some steps and make your own topsy fishtail braid. Just follow the step-by-step tutorial and always believe that practice makes perfect. It is also good to combine ponytail with fishtail. You may say that it is tricky. If you spend time on it, you will be satisfied with the result. Though it requires few tricks, it will be funny and pretty for your summer look. If you have a perfect forehead, why not choose this ponytail? It is a smart as well as easy way to make a high ponytail. It is good for the thick hair. It is perfect for both mid-length hair and ultra-long hair. If you want a high ponytail for summer, go for it!